Q: All the big guys at the gym say you should train only one body part per day. What do you think about that for me as an athlete? A: This style of training (sometimes called blitz training) was really popular back in the 90’s and has stuck around since then. I think it is an appropriate way to train for bodybuilders at the advanced level (and usually those with chemical assistance). Important note: do not take the following as a slam on bodybuilding. 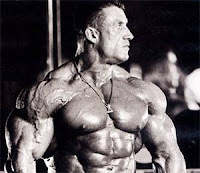 I have always respected bodybuilders and have learned a lot from this sport. However, some of what bodybuilders do is not appropriate for athletes. I have personally used a routine like this for over two years. While I did find it effective for size and strength, it hindered my athleticism. I also ran into many of the problems that I will describe below. 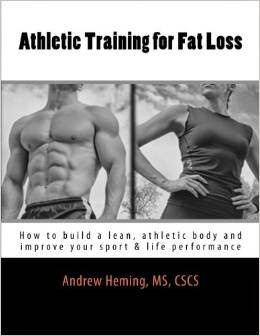 Personally, I have found I can gain size, strength, leanness and performance better with more athletic styles of training. Most people are not as advanced as they think they are. A routine like this is designed for a bodybuilder who is truly advanced and needs to devote that much volume and intensity to a muscle group to stimulate overload. Then, a long period of time is needed to recover from that intense stress. Those at the beginner and intermediate levels do not need such an intense stress to create a training effect. They also do not need to wait a full week before training a particular muscle again. As a result body part splits lead to slower progress for the beginner or intermediate. Even when I have a client who is not an athlete and just wants to gain muscle, I do not use body part splits if he or she is at the beginner or intermediate level. Because you are only training one muscle group a day, you need to train 5-6 days per week. This is too much time for an athlete to devote to training. Athletes need to spend less time in the weight room so they can spend more time practicing their sport, eating healthy food and recovering. When training for performance, a higher frequency for each muscle group or movement is usually best. There are not many athletes who practice their sport only one time per week. In bodybuilding, you try to exhaust a particular muscle. While this does build muscle size, it also creates problems for the athlete. Dr. Vladimir Zatsiorsky said it best – fatique masks fitness. When you hammer a muscle this hard, you create a lot of fatigue and muscle soreness. Also, training with such low frequency makes the soreness even worse. While this is not a problem for a bodybuilder, it is a major problem for an athlete. Imagine a basketball player trying to do shooting practice the day after “arm day”. Also, athletes cannot afford to take 4 days off of their sport to recover from “leg day”. While each muscle group is hit only once per week and has lots of time to recover, there is still a lot of systemic fatigue with this method as you are training intensely on an almost daily basis. The central nervous system, joints, glycogen stores and endocrine (hormonal) system are all taxed each training session. When I used this method, we trained Monday to Friday. Monday: Chest, Tuesday: Back, Wednesday: Legs, Thursday: Shoulders, Friday: Arms. I always found that the Thursday and Friday training sessions were awful.